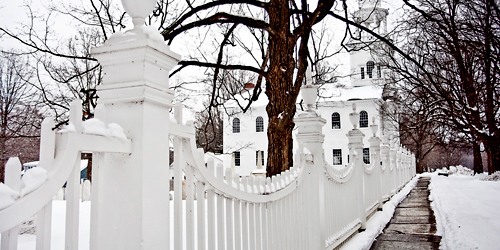 Savor southern Vermont’s famed winter activities and warm weather fun. Browse designer outlets, village greens, and old general stores. Plan a romantic getaway, visit enchanting landscapes and landmark homes of the famous. There are parks, farms, woods and open spaces for hiking; galleries, exhibits and studios for local arts and crafts; and live theater, music and performance. Check out glass blowing, adventure parks, and ziplines. 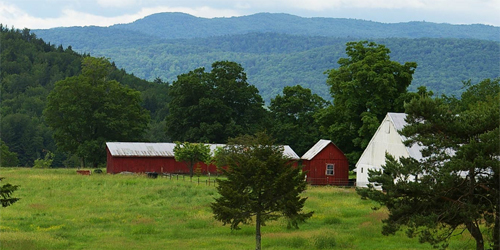 This is Vermont cheese country, and there’s a sleepover camp for dogs and their humans. Woof. 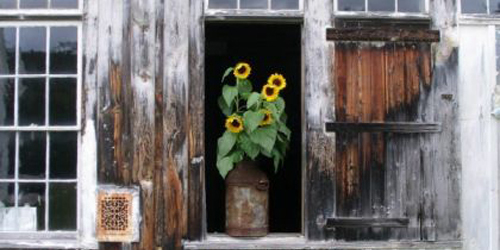 The outdoors is waiting for you at the 571-acre Scott Farm and the vacation properties of The Landmark Trust USA. Stay in Naulakha, the Vermont home of Rudyard Kipling where he wrote the “Jungle Books”, or his Carriage House. The Dutton Farmhouse is cozy with breath-taking views and there is a sweet sugarhouse by the Scott Farm Orchard. The quiet, secluded Amos Brown House contains the peace of a former farmstead owned by Carpathian monks. All properties are an easy drive from hiking, biking, bird-watching, swimming, golfing, canoeing, skiing and musical events. Nearby, visit Scott Farm Orchard for heirloom apples. 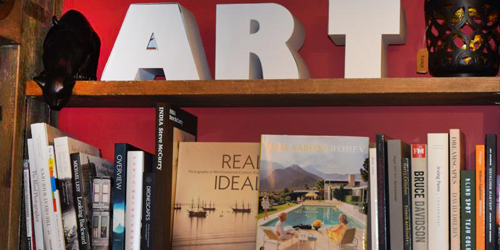 The independent, family-owned Northshire Bookstore on Main Street in Manchester Center, in business since 1976, is a paradise for browsers and literature fiends of every variety. All kinds of books for all kinds of readers, along with DVDs, gifts, music, readings by authors, and book discussions. Lots of Vermont authors and Vermont-oriented reading matter. And if you don’t know quite what you want, the well-read staff is on guard to offer big ideas. The neighboring Spiral Press Café offers sustenance to keep you going. Open daily. 802-362-2200. Climb aboard a comfortable van to tour the back roads of the Shires region of Vermont with expert guidance. Backroad Discovery Tours is a guided tour service based in Manchester. A local guide will show you the sights: mountain and valley vistas, country roads, a visit to a woodworking factory and retail kitchen store, and the oldest marble quarry in the country. 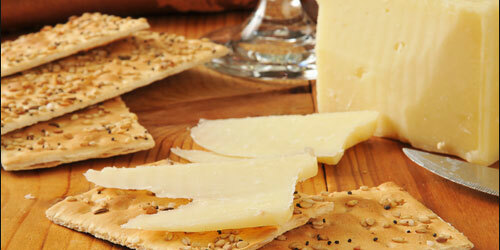 Taste and buy Vermont-made cheese and maple products. Reservations are required. Tours usually depart from 21 Bonnet Street in Manchester Center. 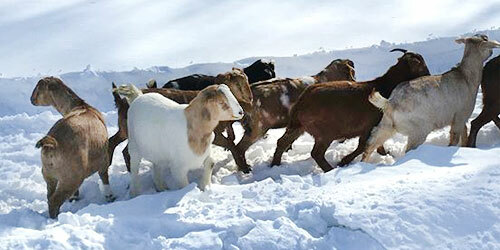 Winter/spring tours are offered November to February and in early May. 802-362-4997. Few structures in America combine architectural ingenuity, economic necessity, and romantic idealism better than the covered bridge. Covered bridges flourished in the United States in the 19th century. Pennsylvania has the greatest number of covered bridges, and Vermont, with about 104 covered bridges, has the highest number relative to the state’s size. 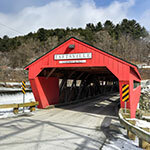 In Southern Vermont, some highlights of the many covered bridges include the Bridge at the Green (Arlington Bridge) in Arlington and the Henry / Burt Bridge in Bennington, which is a short distance from the rebuilt Paper Mill Bridge and the Silk Bridge. 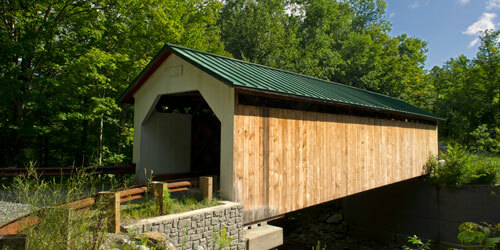 Covered bridges offer a wonderful opportunity to stop, take pictures, dip your feet in the river, and even to picnic. Brattleboro is a bustling southern Vermont town that condenses many Green State pleasures: a big food coop and good restaurants, a restored Art Deco theater, an annual Parade of Heifers. Since dairy farming is a staple of Vermont life, the town’s treats for visitors also include a Grafton Specialty Cheese & Wine Shop, 400 Linden Street, featuring hand-made Grafton cheese (named for the lovely small town just up the road, where the cheese maker is based). Visit the cheese and wine shop during the week to see cheese being made. Get advice on pairing wines and cheeses and leave with a banquet for friends back home. 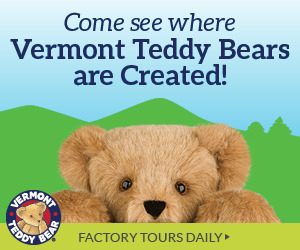 This is a motherlode of Vermont flavors and genuine hospitality. Open weekdays 10 a.m. to 6 p.m. 802-246-2221. Honora Winery & Vineyard at 201 Vermont Route 112 in Jacksonville has a tasting room where people who love wine may relax, sip some wine, and taste some Vermont cheeses while listening to the nearby stream or watching for heron at the pond, all against the backdrop of a forested hillside. Honora’s Syrah, Cabernet Sauvignon, Melot, and Chardonnay have won a variety of awards. 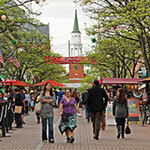 Annual public events include the Chocolate Festival on Memorial Day weekend and the Grape Stomp and Harvest Festival on Labor Day weekend. Tasting room is open daily, 11 a.m.-5 p.m. Phone: 802-368-2226. Some people just love, love, love the circus, any circus, the mere idea of a circus. What can you do? Here’s one answer: drop in for a visit or take a class at the New England Center for Circus Arts, located at 76 Cotton Mill Hill in Brattleboro. This is a circus school that welcomes new students (even for a one-shot class), visitors, and observers. It operates year-round. Travelers can stop in and watch, or make advance arrangements to take a group or private class. You can sign up for a single-night swing class or a weekend immersion class. 802-254-9780. A fascinating family saga that includes one of the greatest names in American history awaits visitors year-round at Hildene, 1005 Hildene Road in Manchester. It is the home of Robert Todd Lincoln, the only child of President Abraham and Mary Todd Lincoln to survive to adulthood. Robert Lincoln built Hildene, a Georgian Revival mansion, in 1905. It was home to Lincoln descendants until 1975. The home and grounds are open to guided and self-guided tours. You can hear the sound of the family’s 1,000-pipe Aeolian organ, and visit the Observatory, the Pullman car Sunbeam, Hildene Farm, and the exhibits. The Hoyt Formal Garden and other gardens are lovely. The property has 12 miles of walking trails, and people are welcome to cross-country ski or snowshoe the trails from December to mid-March. 802-362-1788.